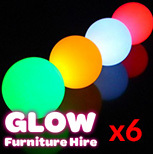 If you’re looking for a unique item to decorate your event then you cant go past our glow spheres. 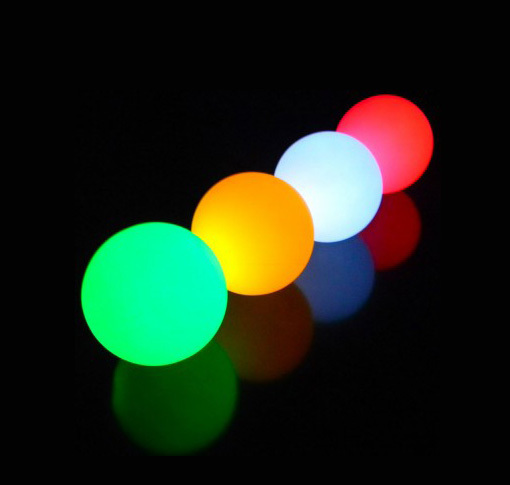 The glow spheres are a complete illuminated ball, in sizes of 40cm, 50cm or 60cm. They have a small flat base that allows them to sit upright without rolling away. Like all our glow furniture, they are wireless and last for up to 8 hours. 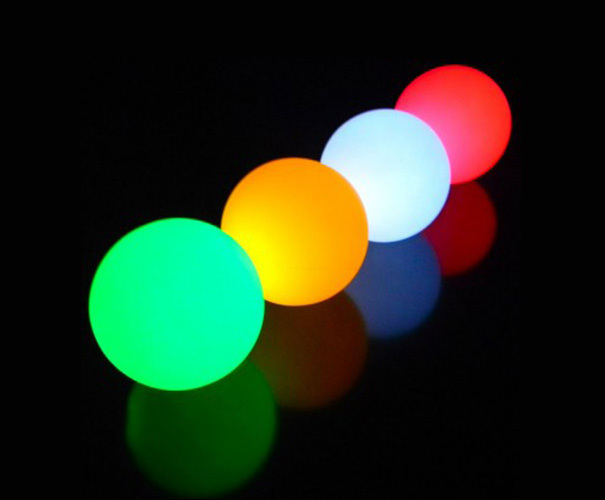 An internal battery and LED lighting system inside the spheres allow you to control their colour and modes. A charger can be provided for extended hire periods. 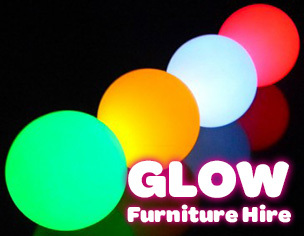 The glow spheres are great to mix up the sizes for an interesting feature. They don’t float unfortunately, so cannot be placed in water.